In 1945, Yoshika Miyafuji, who lost her witch powers during the Strike Witches' last assignment, has been studying to become a doctor. Shizuka Hattori, one of her cadets in the Imperial Fuso Navy, then arrives to deliver a message: Yoshika is to be transferred for study abroad in Europe. 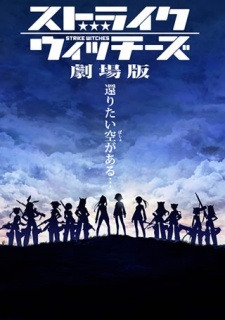 Strike Witches Gekijouban: 501 Butai Hasshin shimasu!